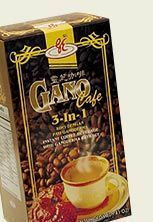 Go here to request your FREE sample of Gano Express Coffee. I don’t know why I was charged different prices at 2 different Walgreens. Strange! Have you ever thought about trying Sirius radio? We have Sirius XM and we love it. I get to listen to my favorite TV news station when ever I am in the car. You can try it free for 30 days and see if you like it. Just click on the picture above to try it. Just cancel within 30 days and owe nothing! K-Mart is having another coupon doubling event. Yeah! Coupons up to $0.99 will be doubled – limit 5 coupons. You must use your Shop Your Way Rewards card (FREE to join). Valid July 25th to July 31st. Nivea Happy hour takes place between 4 and 5 p.m. EST today on their Facebook page. They will have a giveaway, coupon, or special prize. You must “like” them on Facebook to be eligible. If you miss it this week, they plan on doing Happy Hour every Thursday this summer. Go here and “like” the Cheesecake Factory and you will be able to print a coupon to get a slice of cheesecake for only $1.50 on July 29th. Yum!